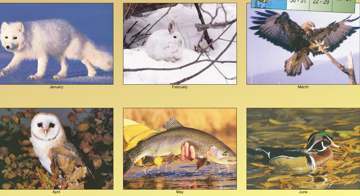 Canadian Wildlife Calendars Personalized with Custom Imprint. Promotional, Inexpensive, Lowest price in Canada. 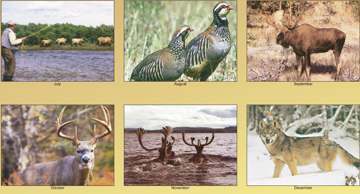 This high quality, yet budget-priced Wildlife printable calendar has 12 exquisite high high resolution pictures, printed on top quality glossy paper. The wildlife calendars have bilingual dates (English and French). You may combine them at no cost with other Custom Wall Calendars , as long as you order a minimum of 50 of each model.